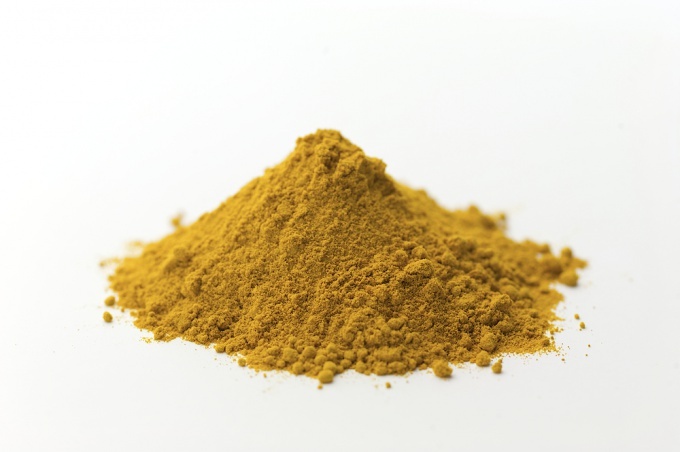 Ground turmeric – based seasoning in many culinary cultures. You can buy it ready-made in almost any food store or grocery. Turmeric belongs to the family of ginger. When it is collected, in appearance it resembles a ginger root. It has a bitter spicy taste that is found in many East Indian dishes, as well as in West Indian spicy pastes and curry. Turmeric has a bright orange color, which when dried turns a Golden-yellow. Turmeric also known as Indian saffron. 1. Ground turmeric is added to masala (mixture of Indian spices) to flavor dishes. Turmeric is added to curry powder and curry paste as ginger, pepper, cumin and coriander. Turmeric and other spices are dried on top of the furnace, and then ground and added to masala. 2. Turmeric seasoned chicken dishes. Turmeric adds a warm spicy taste of chicken meat. Use only her or in combination with other spices to coat chicken or as a Supplement to the gravy. The finished chicken will have a delicious Golden yellow. 3. Ground turmeric is used in vegetable dishes or with beans and lentils to improve the taste and color. It is well suited to dishes of potatoes and cauliflower. Turmeric also adds a spicy flavor to vegetable curry. 4. For recipes with saffron, or dried mustard you can use turmeric. It has a milder flavor than these spices, but gives the dish the yellow color. On the basis of turmeric is prepared American mustard. 5. Fresh turmeric is used in sauces and broths for soup. Fresh turmeric is prepared to use the same as ginger root: it is necessary to peel and grate a bright orange pulp. Have fresh turmeric for a more subtle flavor than dried. Turmeric is a natural dye and gives the food not only yellow, but also subtly accentuates the flavor of the finished dish. This spice belongs to the ginger family. 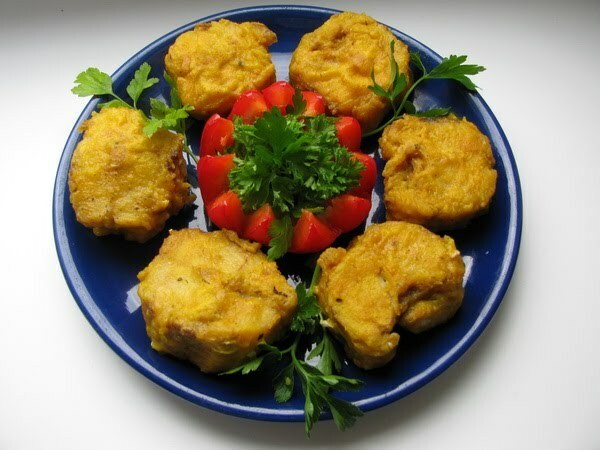 Turmeric can be added as a breading when frying fish in the sauce before serving. For fried fish, take the fillets, wash and dry. It is better to take frozen fish, otherwise when frying the pieces can fall apart. Cook the pasta for cooking: chop the mint leaves, squeeze lemon juice, grate the ginger, squeeze the garlic. Add to this a teaspoon of turmeric, salt, pepper and all mix thoroughly to a paste. Preheat pan with a little vegetable oil, place it on the fish pieces and start to fry. Periodically dip the brush into the paste and lubricate the fish. To prepare fish quickly saute it in a total of 5 minutes on each side. The main thing — do not desiccate the dish. Serve fish with a side dish of boiled rice with vegetables. The fish with turmeric and potatoes in a yoghurt sauce can be baked in the oven. Clean the fish from scales and fins, wash thoroughly, dry and cut into portions. Prepare the sauce: in the yogurt, add the grated garlic and ginger, turmeric, dried mint and chilli, season with salt and mix thoroughly. Put in the fish sauce and leave for 40 minutes for impregnation. At this time, boil in salted water the potatoes whole so that it does not seethe. Then drain, cool and cut it into slices with a thickness of 2 cm, Remove the fish from the sauce, which is then poured over the top, put it together with potatoes on a baking sheet and bake in the oven at a temperature of 200oC for 20 minutes. Turmeric can be used as a component of a sauce for the finished fish, for example, to grilled pike perch. Take fillets of fresh fish, wash and dry it, then cut it into large pieces. Sprinkle inside and outside with pepper, salt and drizzle with lemon juice. Preheat the pan with vegetable oil and fry fillets for 2-3 minutes on each side over high heat. Remove the fish from the pan, stir in the remaining frying oil, a tablespoon of flour, a little fry and pour a glass of water, boil down the mixture so that the water was 2 times less. Add to the sauce the turmeric and thyme, bring to a boil and turn off. Stir into the sauce ground black pepper and chopped dill. Baste the fish with the sauce and serve. As a suitable side dish boiled potatoes.